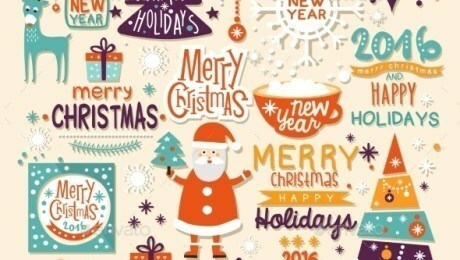 There are so many types of agencies out there that cater to all different markets but they all have one thing in common – their website is often the first impression a potential client will have of their business, so it makes sense that they showcase their skills on a well-designed, aesthetically pleasing site. While many agencies might decide on a bespoke theme, there are plenty of themes out there that are perfect for agencies and can give as good a first impression as their more expensive counterparts. 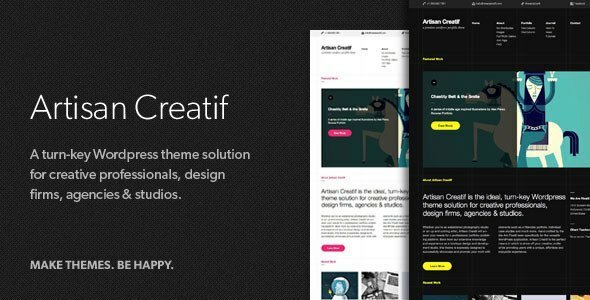 Today we’re sharing ten of our favourite WordPress themes for agencies, so just click on the images to see more. A great solution for creative agencies, Artisan Creatif can be moulded to suit whichever market you operate in, whether that’s photography, art or web design. 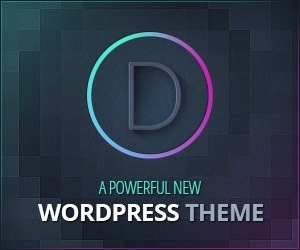 This theme will help you create a professional portfolio that showcases exactly what your company is all about. 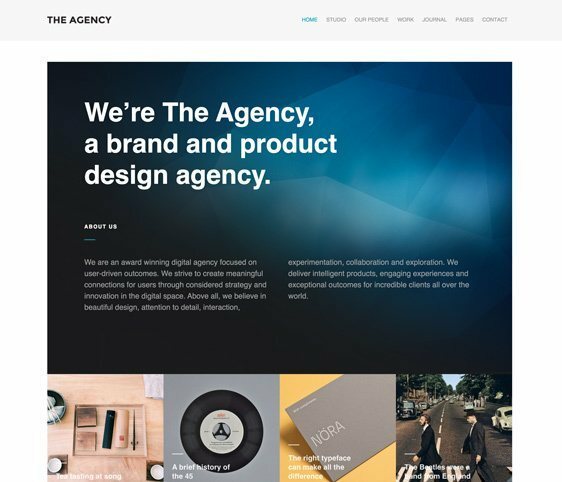 Targeted specifically towards web-related agencies, The Agency is a fully responsive theme that allows companies to publish client projects, company updates and industry news, providing a well-rounded site that’s as attractive as it is informative. 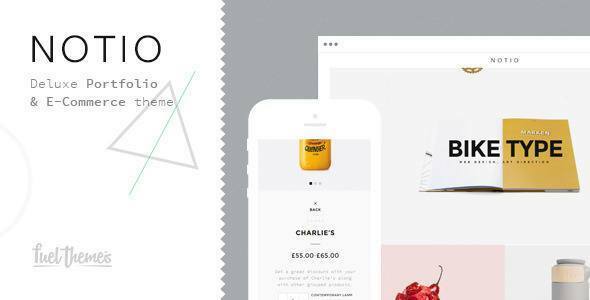 A deluxe portfolio and eCommerce theme, Notio comes with ten different portfolio layouts so you can choose the perfect look for your agency. Additionally, you’ll receive eight portfolio detail pages, and WooCommerce integration so you can easily sell your services online. 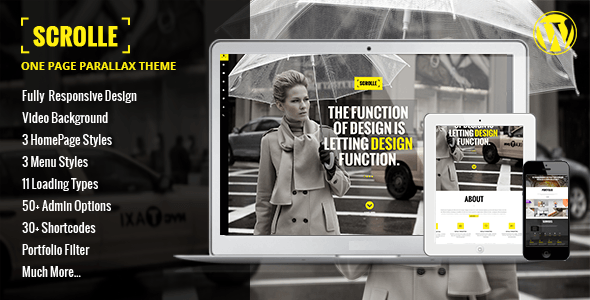 A portfolio theme that’s geared towards creative agencies, this fully responsive and retina ready theme was designed to be easily customisable. 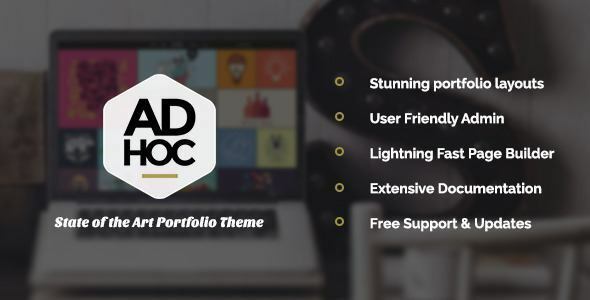 Ad Hoc Portfolio allows you to create unlimited portfolio layouts and bring your site to life within a matter of minutes, thanks to the easily navigated grid layout. 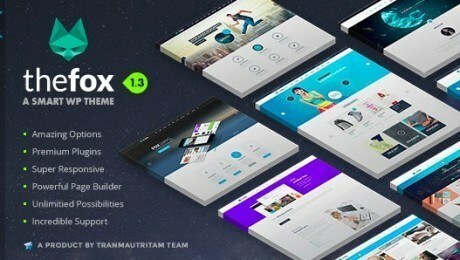 A stylish theme that boasts multiple parallax sections, Port features a sleek navigation and numerous button shortcodes for ease of use. The testimonial post type and filterable portfolio make this a perfect pick for agencies who want to display their packages and client reviews in a clear, concise way. 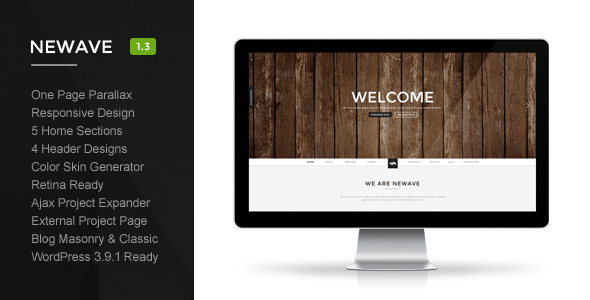 A neat one page parallax theme, Newave is described by the developers as being perfect for agencies, photographers and corporate companies. With six home sections, a parallax slider and Font Awesome icons, Newave contains everything you need to design and customise your ideal agency site. 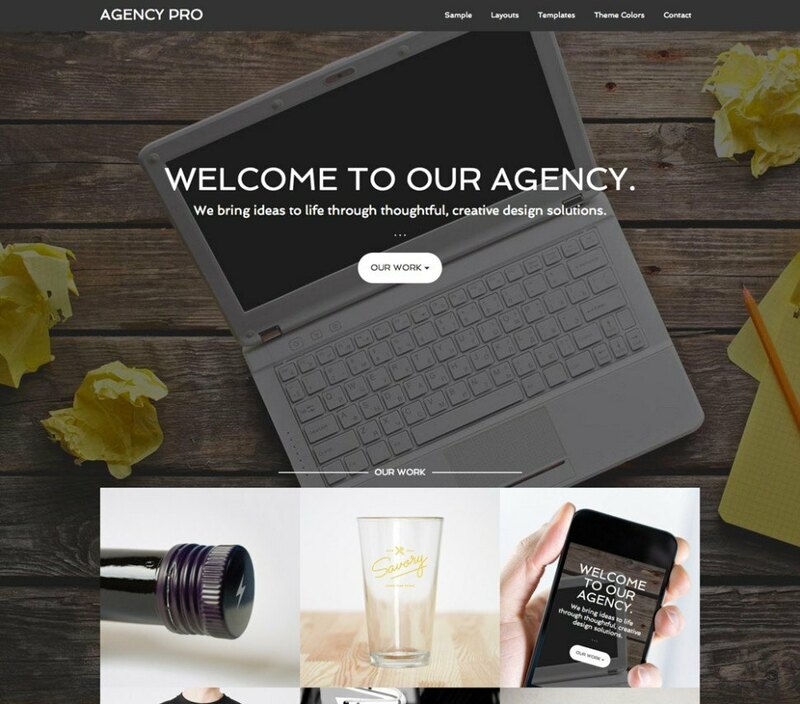 In a package that handily includes the Genesis Framework, Agency Pro allows you to represent your professional services with a crisp, clean design that creates a fantastic first impression. Additionally, Agency Pro comes packed with six layout options, in depth customisation options and five colour styles. 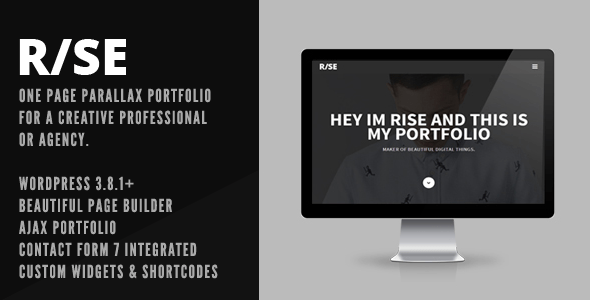 Perfect for a simple, eye-catching aesthetic, Rise is a responsive one page parallax agency theme that comes with animating introductory text, a slide in Ajax folio and Contact Form 7 integration, making it simple for interested clients to get in touch with your team. 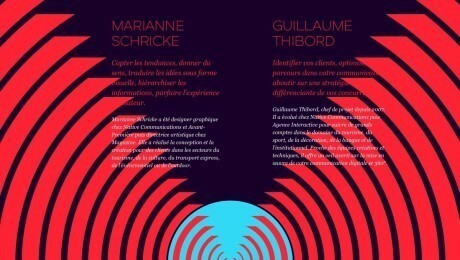 Scrolle is billed as a one page parallax theme for agencies, but don’t be fooled into thinking that’s all that it has to offer. Giving you the option of video backgrounds, half photo styles and slider backgrounds, Scrolle puts you in control and gives you a plethora of options to choose from. Four menu styles and eleven loading types just add to the customisation experience, and this fully responsive design will look great on whichever device your customers are using. 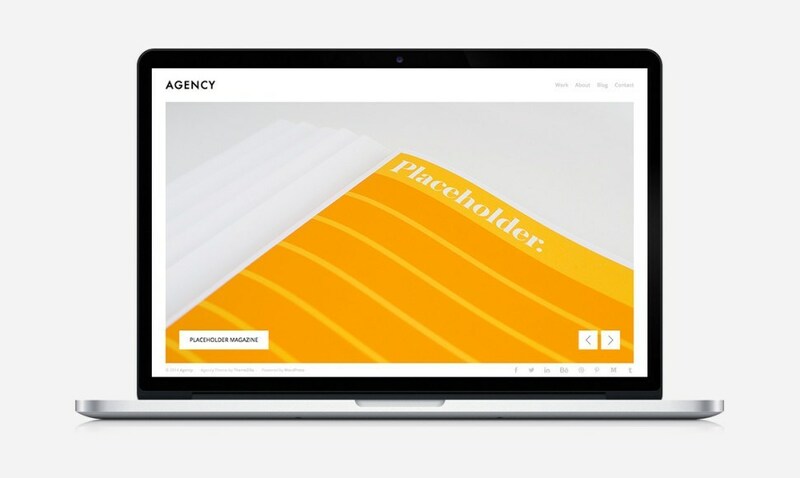 Described as ‘beautifully minimal’ by the developers, Agency features a fully filterable portfolio and nifty accent colour control, which allows you to control the colours of your site without having to get involved in coding – Agency’s effortless customisation options will do it all for you.